Our first ticket giveaway of 2013 is here. As proud sponsors of the What Cheer? Fest this Saturday, March 2, as announced here, we are excited to be giving away two pairs of tickets to some lucky hopefuls. If you’re as obsessed with locals Criminal Hygiene, Cotillon, Feeding People, Vinyl Williams, Colleen Green, Summer Twins, Body Parts, The Vim Dicta, and Fort King as we are, then you won’t want to miss this. The line-up is stacked and the Fest is planning to run from noon to 5am. Epic doesn’t begin to describe it. Tickets are $10 a piece and only available for Pre-Sale here. If you’d like a chance to win a pair, then head over to twitter and send a DM to @thedeliLA with your full name and e-mail, along with the band you’re most excited to see. Only those who also tweet “I want a pair of tix to the @thedeliLA sponsored What Cheer? Fest” will be eligible. Winners will be announced here on the blog on Friday afternoon. We will send out e-mails with all the information you need to redeem your prize. Good luck! Zig Zags is The Deli's Best LA Area Emerging Artist of 2012! 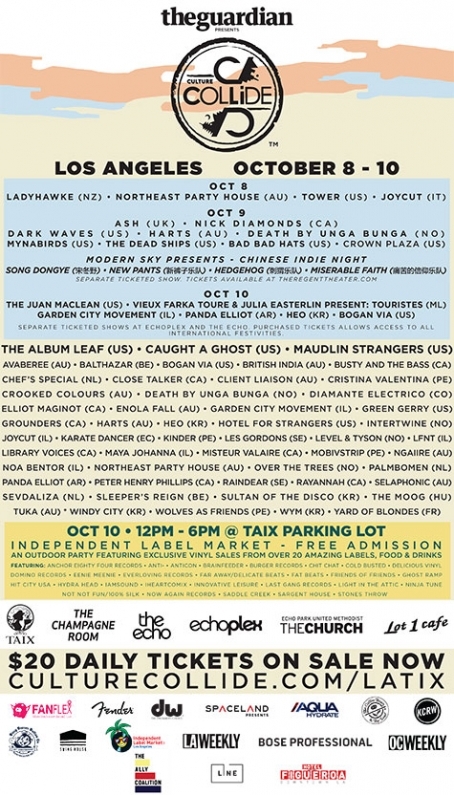 We are proud to announce that The Deli’s Best Emerging Los Angeles Artist of 2012 is Zig Zags! 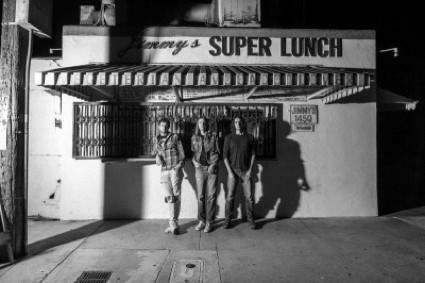 With a recent Iggy Pop collaboration and a cassette release on Burger Records, the psych-leaning punk act held a solid lead over trippy, psychedelic rock band, The Vim Dicta. Taking third place is gritty singer-songwriter, Meg Myers. You can catch Zig Zags live at The Fonda on February 14. A perfect way to spend Valentine's Day - check out their track streaming at the bottom of this post. 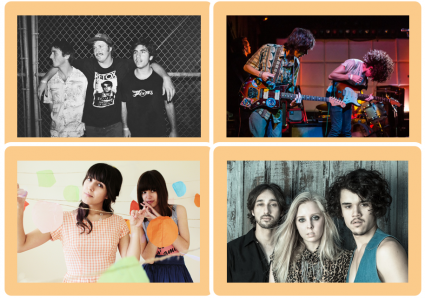 Take a look at our chart of 50 Los Angeles area bands below. The highest value of votes came from our jurors, who included individuals involved in local music. This includes promoters, venue owners, press, record store owners, and other music experts. The remainder of votes was compiled by The Deli LA contributors, readers, and open submissions voted on by national Deli editors.